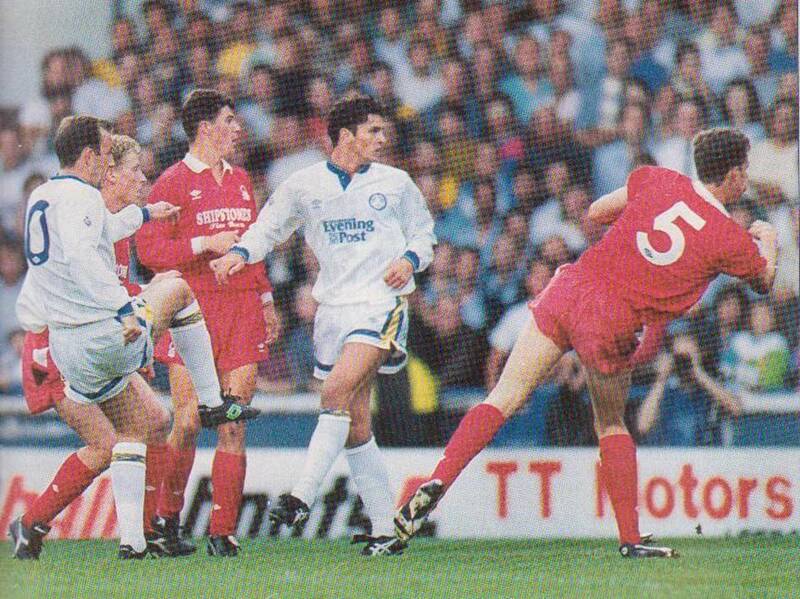 Date: Tuesday, 20th August 1991. 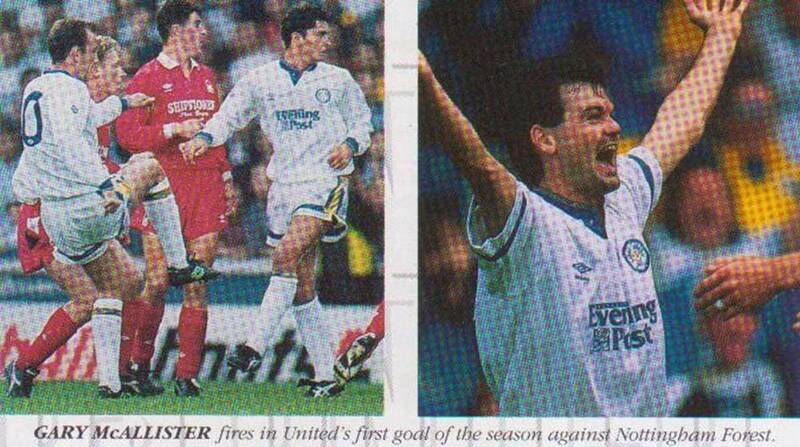 Scorers: Leeds United: McAllister. 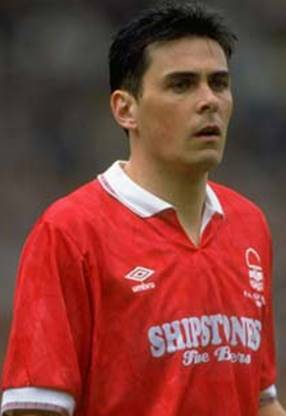 Nottingham Forest: Nil. 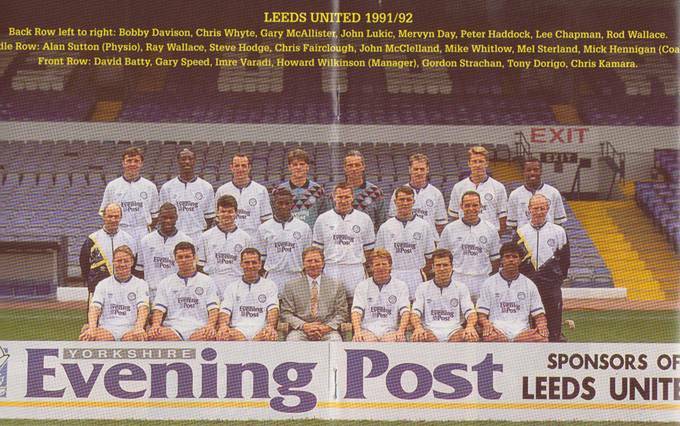 Leeds United: Lukic; McClelland, Dorigo; Batty, Fairclough, Whyte; Strachan, Rod Wallace, Chapman, McAllister, Speed. 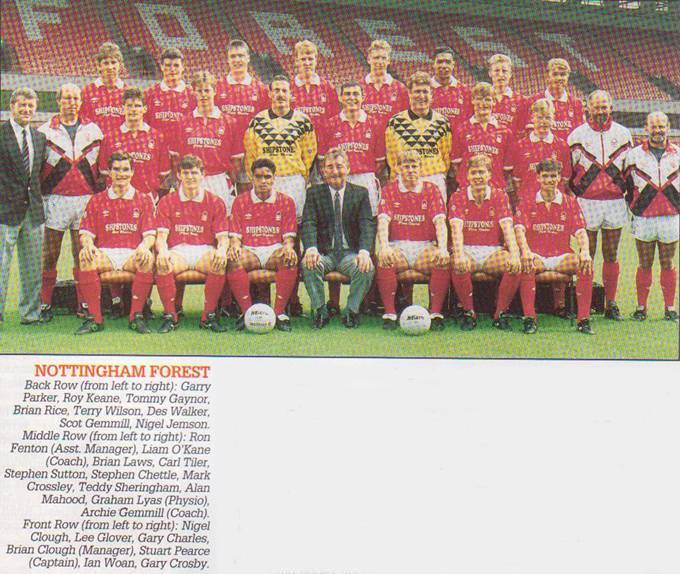 Nottingham Forest: Crossley; Charles, Pearce; Chettle, Tiler, Keane; Crosby, Gemmell, Clough, Sheringham, Jemson. 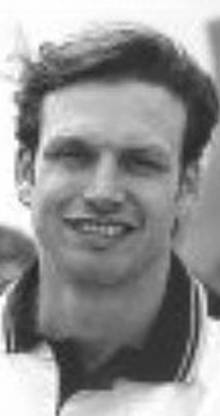 Referee: Mr N. Midgeley (Bolton). England manager Graham Taylor was in attendance for United’s opening fixture of the season and they kick off their campaign late as their opening day fixture against Crystal Palace had been postponed because their Selhurst Park ground was not finished in time to meet FA regulations. 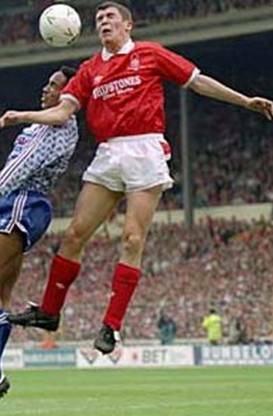 Taylor had a friendly international against West Germany looming and he was casting his eye over the several contenders for a place in his team. 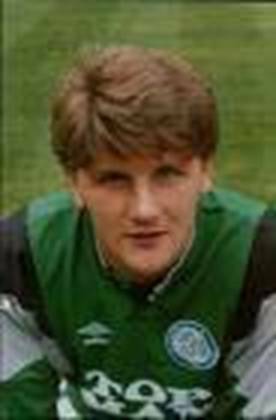 John Lukic would have impressed him with an immaculate goalkeeping display and it was thanks to his efforts that United managed to keep a clean sheet and clinch maximum points. 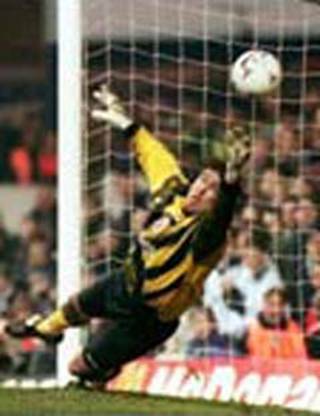 Brian Clough’s men had given the United keeper quite a searching examination and Lukic came through with flying colours and made two outstanding saves , one to deny pacy full-back Gary Charles, who hit a tremendous long range shot and the other to thwart Scott Gemmill, from relatively close range. 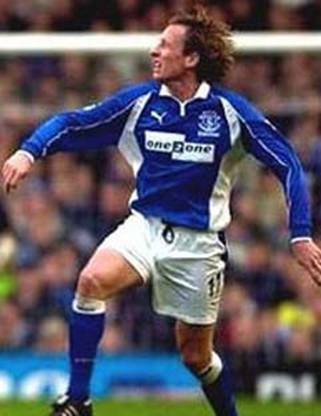 There were others of note, particularly well struck efforts from full-back Stuart Pearce and Lukic like the rest of his teammates knew they had been in a game. 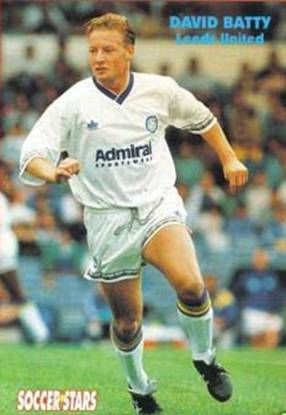 Forest manager Brian Clough had got his men fired up to meet the daunting prospect of playing in front of a big Elland Road crowd and, as a result, there was never a moment when players on either side could afford a second of relaxation. 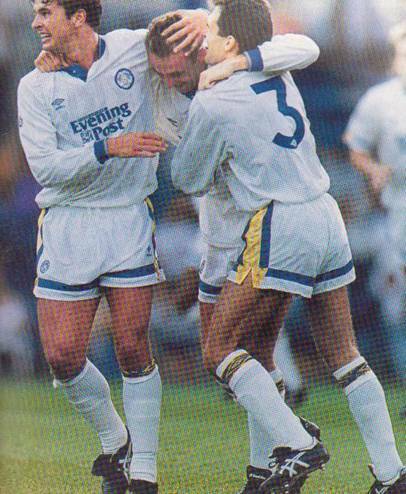 Both teams oozed pride and passion in a high pressure game that kept fans on the edge of their seats and it was not surprising that manager Howard Wilkinson breathed a huge sigh of relief when it was all over and United had three points in the bag. “Had we not been at our fighting best we might well have lost it. This was a good one to get out of the way,” he said. 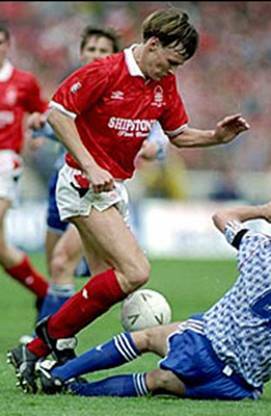 Gary McAllister’s thirteenth minute goal, an eighteen yard shot from Lee Chapman’s flick on following a long throw from David Batty, gave United an early boost and probably made Clough rue his failure to persuade the skilful Scottish midfielder to sign for Forest shortly before he agreed to a move from Leicester to Leeds. Against a Forest side so good on the break, United needed, ideally, a second strike to make life more comfortable. It didn’t materialize but United held out for the narrowest of victories. 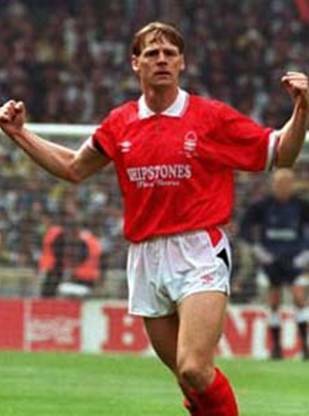 Forest battled away, with skipper Pearce in his usual uncompromising mood but still finding time to test Lukic with some powerful shots. 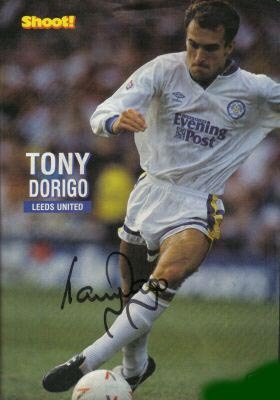 Yet while the watching England manager had good cause to feel pleased with his current left-back, he must have also noted a competent display from Pearce’s rival for the England No.3 shirt, Tony Dorigo. 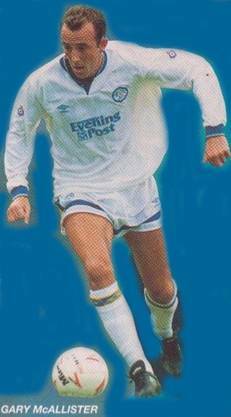 The new United defender looked worth every penny of the £1.3 million the Elland Road club had paid Chelsea for him. 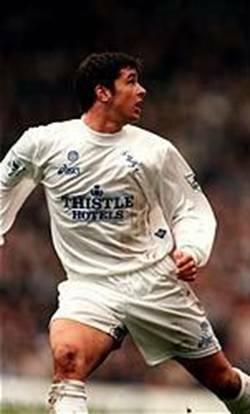 His coolness, vision and ability to get forward making him a welcome addition to the United side, but on the night when effort was the prime ingredient, no one worked harder than Gary Speed, Lee Chapman and David Batty.